Actress Shweta Tripathi starrer Zoo will premiere at the 22nd Busan International Film Festival (BIFF). The 32-year-old actress is excited about the world premiere of Zoo, which is based on the lives of teenagers battling with drug addiction. Shweta says that experimental cinema was always her cup of tea, reports news agency IANS. She said, "I always wanted to be a part of films which matter and being rewarded by getting recognition from a festival like Busan is something I as an actor work for primarily." Zoo - directed by Shlok Sharma and produced by Anurag Kashyap, also features actor Shashank Arora. The film was completely shot on an iPhone. The actress also shared her excitement on Twitter and wrote: "Proud and happy to announce that our film Zoo will have its world premiere at Busan Film Festival Yayy!" 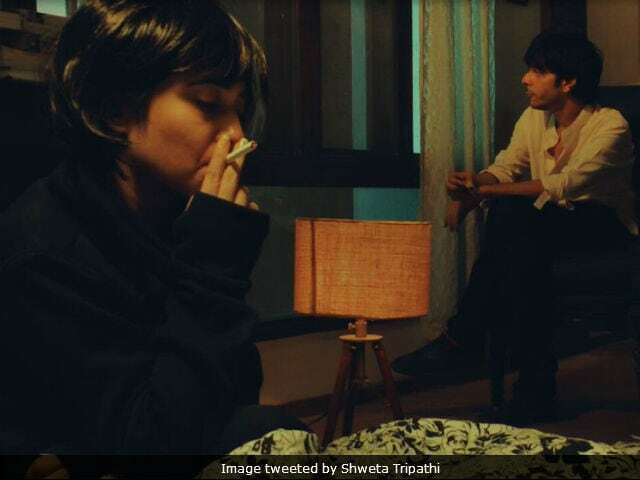 Of Zoo, Shweta told IANS, "I always wanted to be part of experimental cinema and this film gives me exactly that." The film is selected for 'A window on Asian Cinema' category at the Busan Festival, which will be held in October. Shweta, who is known for her role in TV series titled Kya Mast Hai Life, has earlier worked with Shlok Sharma and Anurag Kashyap in Haraamkhor, co-starring Nawazuddin Siddiqui, which was a critically acclaimed film. Haraamkhor was also screened at film festivals like New York Indian Film Festival and Indian Film Festival of Los Angeles. Shweta also featured in Neeraj Ghaywan's Masaan. Of her character in Zoo, Shweta told IANS, "I play Misha Mehta, an urban girl addicted to drugs and who is trapped in her house because she blames herself for an accident which happened a few years back. In order to escape those emotions, she gets trapped with her thoughts and finds solace in drugs." She said, "This role for me was completely different from Masaan and Haraamkhor and that's what drew me to it." Of director Shlok, the Masaan actress said, "Shlok is a director who gave me my first feature film I shot, but unfortunately it was stuck for various reasons and then he wanted to make another film with me." She added, "We started shooting immediately after Haraamkhorreleased. I like being part of films which set new trends and this being the first film to be shot on an iPhone was very interesting. Actor Manoj Bajpayee starrer In The Shadows will also premiere at the BIFF. The actor shared the news on Twitter and wrote: "In The Shadows will premiere at the Busan Film Festival. Great news for the entire team. Dipesh Jain, Shuchi Jain, Ranvir Shorey." The Busan International Film Festival or BIFF is held annually in Haeundae-gu, Busan, South Korea. It is one of the most significant film festivals in Asia. BIFF is scheduled to be held in October this year.